Hi. New member from Sydney here. I'm currently preparing a newly-acquired 2011 SX sportsback for blue slip registration. I would have loved a sporty version but compromised on the SX CVT to share with my family, including a new young driver. I've never owned a 4 cylinder auto before, so this will be an experience for me. My daughter has a CVT version too and I've driven it, albeit not hard, so I have some idea of the CVT limitations. I'll be balancing my desire for some modest mods with the usual practicalities and limitations of life. Most likely a subtle audio upgrade, for instance. Welcome to the club my friend, the cvt is honestly a great option for the family, I mean sometimes I wish it was a manual for some more fun but my mum, dad and partner both love how smooth the cvt is haha, hope you get all you need to learn from the forum and the best of luck! 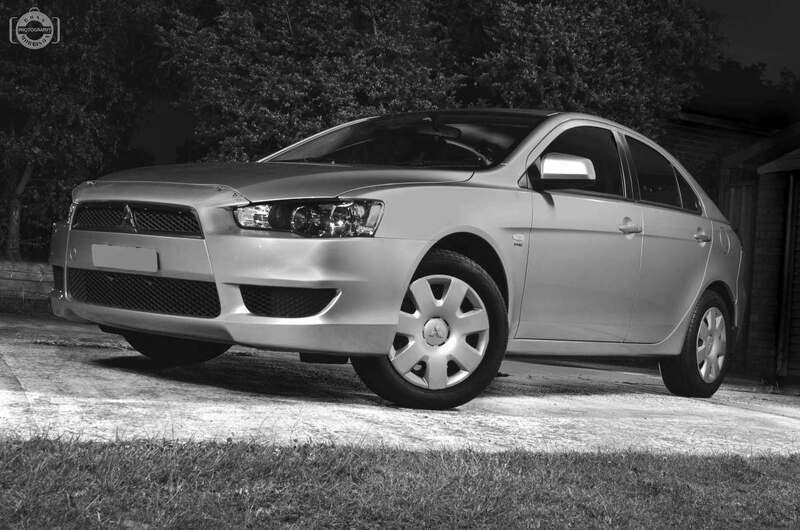 It will be a while before my car is worthy of a photograph, so I am posting my photo of my daughters 2010 sportsback. Since this shot was taken it has 17 inch alloys fitted but now has some cosmetic issues, so no new photos just yet. Hopefully my new imageshack account link works. Also, I wasn't sure where to post this in the forums. I'm Chase. A new member. 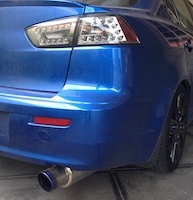 Got a lightly modified '08 VR Lancer. Lotsa fun!! Hope to do some track days eventually.. Forza only satisfies so much.. hehe. Gimme a toot if ya see me out on the road! 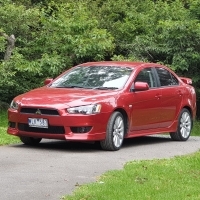 hi new to this site but have owned my used 08 (cy4) lancer gt 2.0 manual for a year now. A problem crop out yesterday but cannot find anything so need some advise. Engine is overheating (about 93°C) when a/c is off but when a/c is on temp. drop to 85°C (which is normal I assume). Check both fan motors and both working. need some advise on these. 1. Is there a low/high speed for the radiator fan? 2. Does the fan control relay (5 pin relay) start the radiator fan when temp. is high? if yes this relay should be faulty right? however when the a/c is on both fan (radiator/condensor) start instantly so is the same fan control relay controlling this? a bit confused here. Back to enjoying the row-yourself-transmission after 20 years of auto. I am new to this site and have only recently purchased a 2011 CJ ralliart and absolutly love this car . Have done some modifications 3 port selonoid , tune and NGK ILKR8E6 spark plugs, K&N drop in air filter , 3" exhaust running straight through . Pulling 191KW peak. i WANT MORE. I am late bloomer and want to gain knowledge and share also. Looking for an EVO x oem intercooler if anyone know whos selling at a resonable price ?? 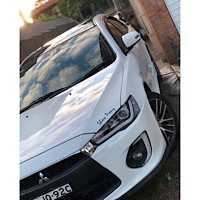 I also bought my 2nd car two days ago and it alsio is a 2008 VRX which i will also "modify and plan to enjoy driving in "
I’m the new owner of a Cool Silver MY09 Aspire which I plan to do a little work on to make a stylish daily commute. Sadly I’m currently studying so this will be a slow process due to a tight budget! One of the first things I’m doing at the moment is hooking up a Google Chromecast to the MMCS to stream music from my phones Spotify as well as directions from Google Maps. Currently living in the Adelaide Hills. Your Chromecast will need a mobile wifi modem to work. You can get them at officeworks. I've got one hooked up to my kenwood head unit. RA intake, TOG air filter, pedders street suspension, Twm full cage short shifter, RRM lightened crank pulley, 67mm throttle body, supercircuit 4-2-1, rapid straight through sports exhaust, ultraracing parts, T2 slotted rotors all round. Most importantly Merlinised. And stuff.....yeah she's not stock anymore. Lurker around here for a little bit, bought myself a 08' VRX/GTS sedan with 114k kms / 70k miles. I've had an annoying rattle coming from what sounds like under the front right side (driver's side in AUS) that comes and goes as I throttle. It usually kicks in at around 1.5k rpms and sticks around till 2700ish. Went and banged on the exhaust and it didn't sound like anything was loose or rumbling. I'm also looking to replace the exhaust for a nicer sound, and would like some budget recommendations for it. 2008 VRX Sedan, bone stock for now.